Middle-earth is made up of various races. But what’s a race without its individuality? Each one has a different look, a different feel. These looks are strongly depicted in the clothing worn by each race and culture, a diversity of garb borne of many generations of development. 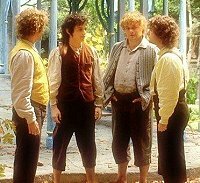 The clothing of the Hobbits shows their simple and relaxed nature. Hobbit lads wear clothing that is good for working in the fields, like suspenders that reach the knees; and loose, comfortable white shirts. 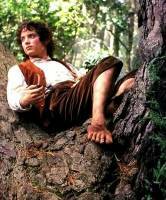 When not working in the fields, a Hobbit lad will often sport a tweed vest and trousers. His outfit isn’t complete without a pipe to smoke. A Hobbit lass wears nice, simple fitting, cotton dresses with either a floral print for special occasions, or solid color for everyday; or she might choose a simple chemise and overskirt. She might very well add a laced-up bodice. She will often top off her outfits with a nice sun hat. 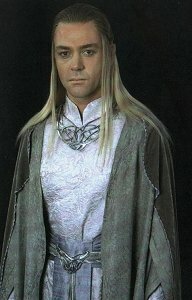 Almost everyone can agree that the Elves have the most exquisite outfits in all Middle-earth. 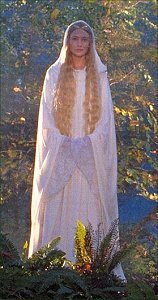 The Elven Sirs of Rivendell often sport long, flowing robes made of silk-like materials with high-necked collars; she-Elves most often don long, silken dresses with wide sleeves, giving the Elves of Rivendell a most royal look. 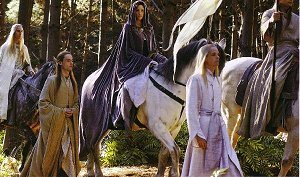 The male Elves of Lorien can be seen wearing robes of velvet-like materials that trail behind; the ladies wear gowns of lacy, ethereal fabrics which give them that light, mystical air. Mirkwoodian Elves wear thicker clothes, also made of a velvety yet sturdy material. Their archers wear simpler costumes of tunics over leggings, in greens and browns to blend into their surroundings. Though not much is known about Wizards, we have two examples of their clothing. 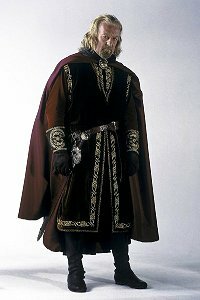 Wizards wear robes of simpler material, probably cotton or wool, uncomplicated in design. The color of the robe depends on each one’s rank in the order. Gandalf is the only known Wizard to wear a hat; however, since we haven’t met any but he, Saruman, and Radagast, we cannot tell for certain. A wizard’s outfit is definitely not complete without the staff, which is also different depending on the Wizard. Men tend to wear a variety of different things. 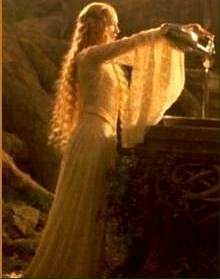 Each different culture has a different look, just as among the Elves. 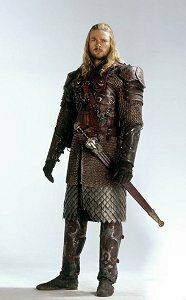 The Rohirrim tend to wear reds, browns, and golds. 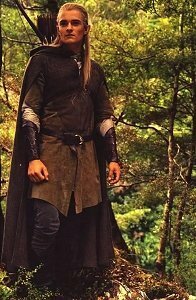 The males wear comfortable shirts and breeches; or if they’re warriors, they wear armor bearing a galloping horse, which is the sign of the Rohirrim. The Women of Rohan wear either comfortable, unencumbered dresses or sometimes a sweater over breeches for wider range of movement. Gondorian people tend to favor grays, blacks, and silver. Again, the men prefer practical overshirts and breeches for everyday. 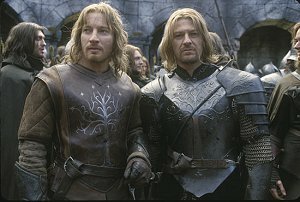 Their warriors wear armor bearing the sign of Gondor, a white tree with stars and a crown. 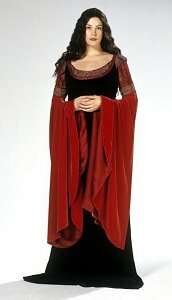 The women of Gondor wear dresses that are both comfortable and regal-looking. 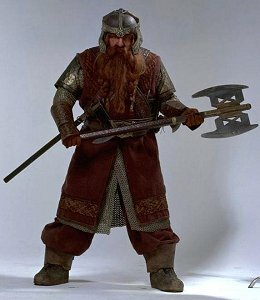 A male Dwarf will be seen mining in armor, so as to keep himself safe from falling rock and metals. 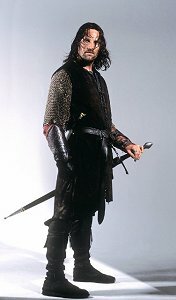 His outfit of chainmail will be made out of mithril or some other precious metal. Since we have never, and probably will never, been introduced to a female dwarf, I can’t really tell you what they would wear. The Races of Middle Earth are very diverse. You can tell a race’s individuality, and even some of its history, by examining its garb. Information on types of materials courtesy of LotR Official Fan Club magazine, issue 5. I love this article! About the wizards, I think it would help if you viewed them not as parts of a greater culture, but rather individuals in themselves. Their manner of dress is thus not indicative of wizards in general, but each wizard in particular. 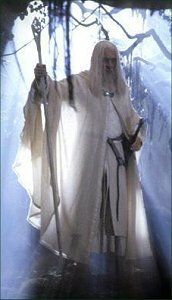 Saruman, for example, definitely has more of an ethereal air, similar to the elves. This seems to match his personality a bit, since he plays the part of a mastermind who does not want to get his hands dirty. 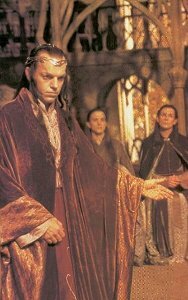 Gandalf’s choice of clothing, however, tends to agree with his personality in that he is physically involved with everything, and not just sitting back coordinating events, in that it is rougher and of a darker hue than Saruman’s. And Radagast, too, seems to have chosen his type of clothing to match his role and lifestyle. 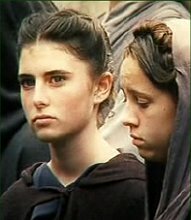 Very good but female dwarves are said to be so alike to their male counterparts in both voice and dress that theyre often mistaken. So theyd wear the exact same thing as the men. I’m making a dress and this is an accurate portrayal of their clothing. Thanks! Uhm, there are female dwarves on the first The Hobbit movie. Maybe you can get information from seeing them. At least according to PJ Boyens & Co. anyway.